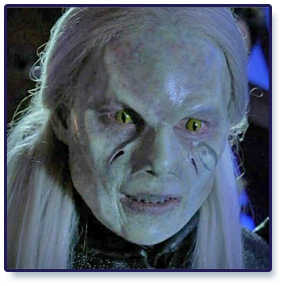 This is Spike as his true self. 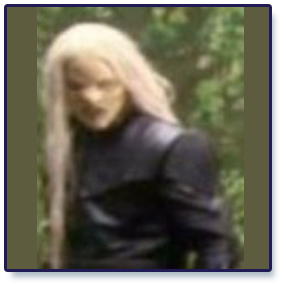 Original image on this site. 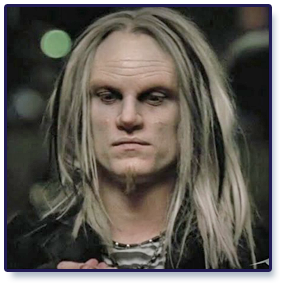 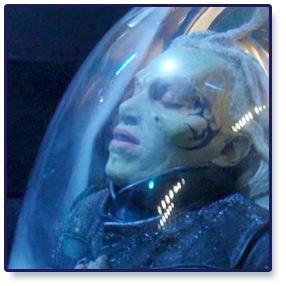 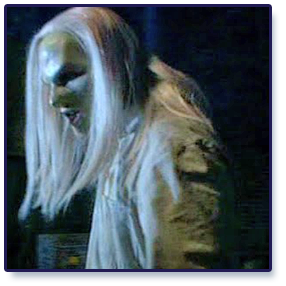 The image information includes wraithcody in the filename and, as Mortimer bears a strong resemblance to Neo and Fred, we think this might be Cody Laudan. 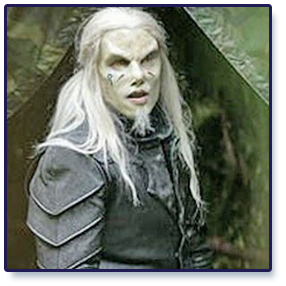 James Bamford according to this GW post. 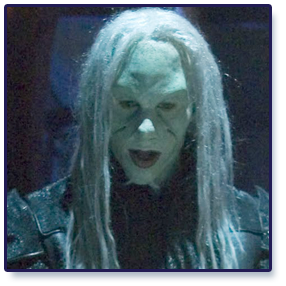 We think this is Edgar after he reverted to his Wraith form in Misbegotten. 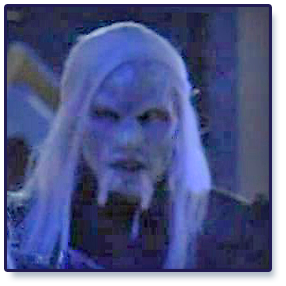 He wasn’t shown in his human form. 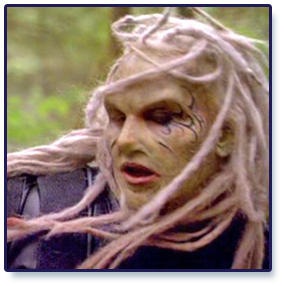 Probably Jeffrey Robinson going by this post in the GateWorld Ask “BAMBAM” thread. 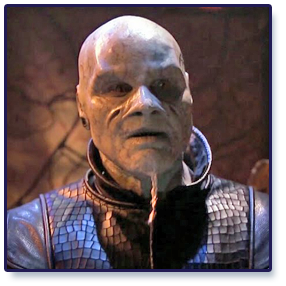 actor is a bit of a mystery. 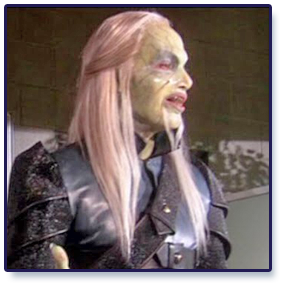 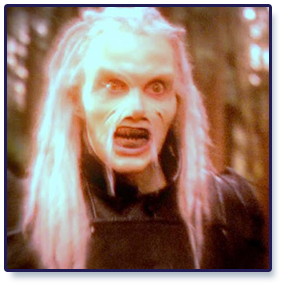 GateWorld Episodes and Stargate Wiki conflict on who was in First Contact. 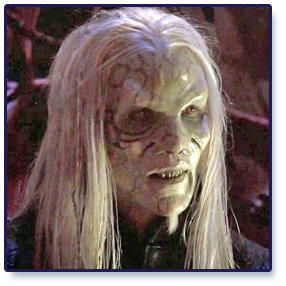 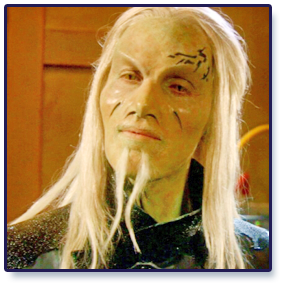 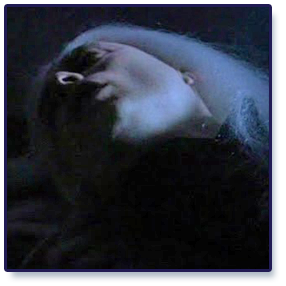 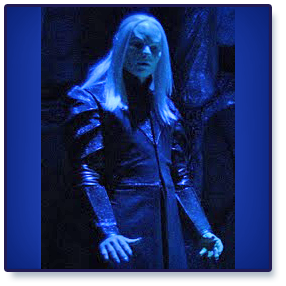 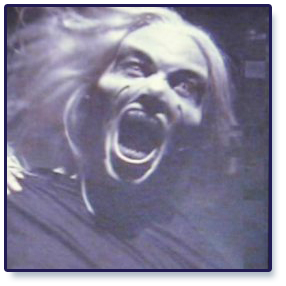 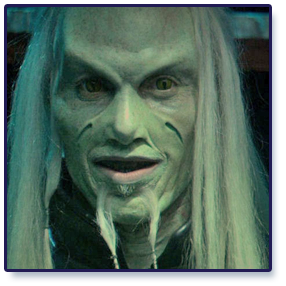 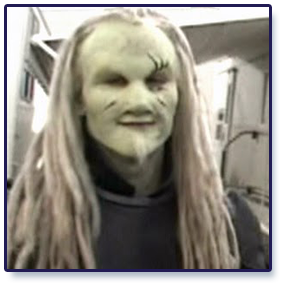 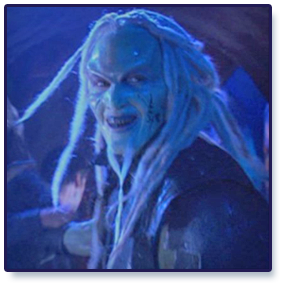 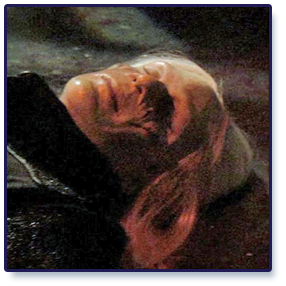 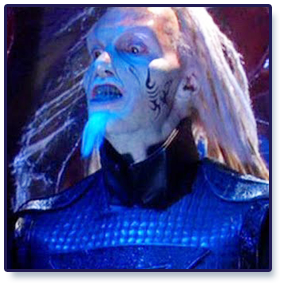 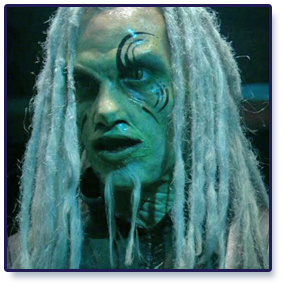 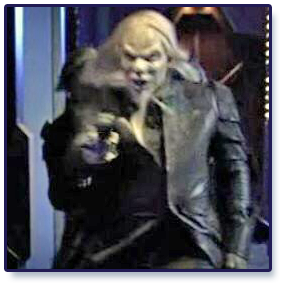 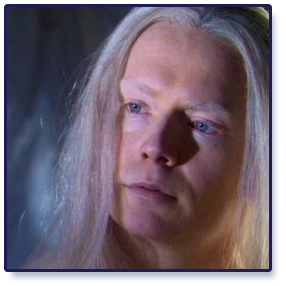 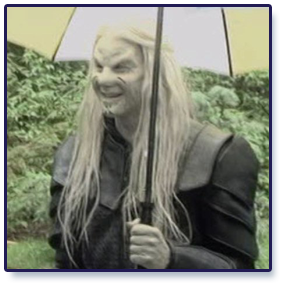 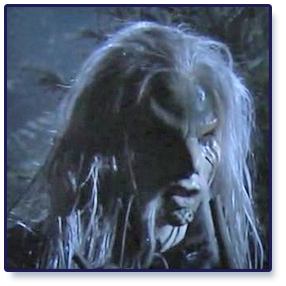 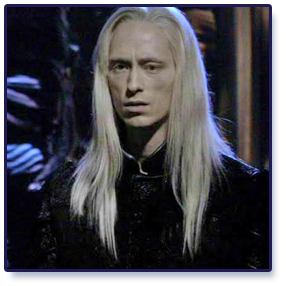 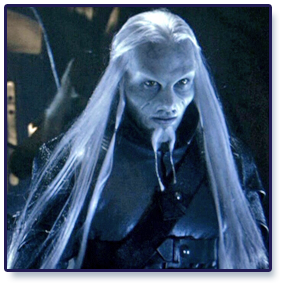 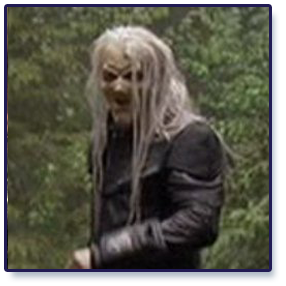 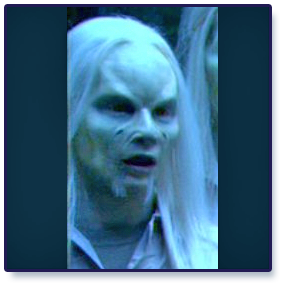 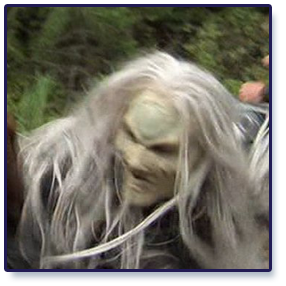 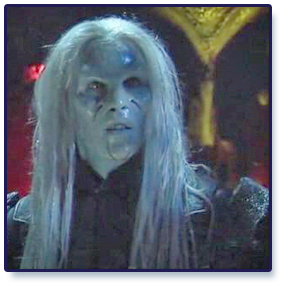 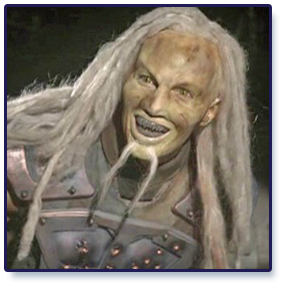 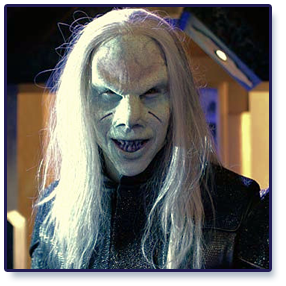 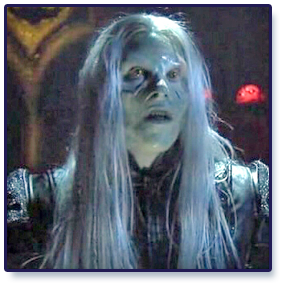 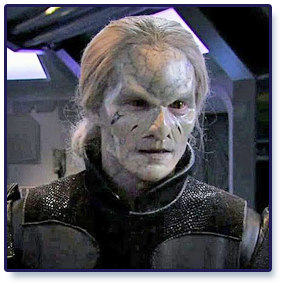 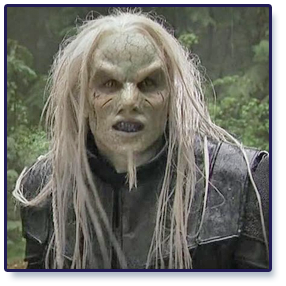 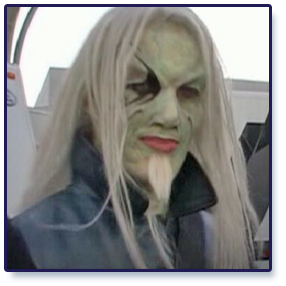 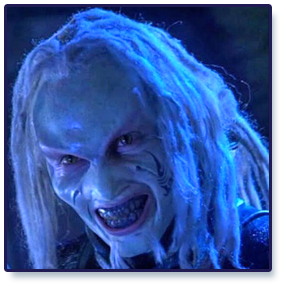 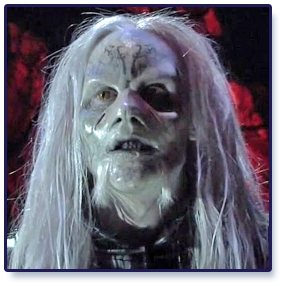 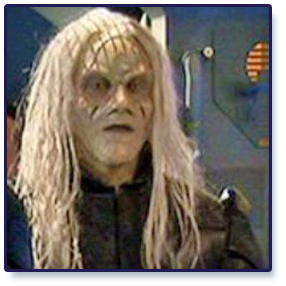 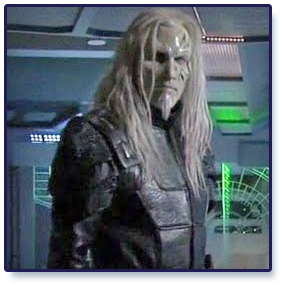 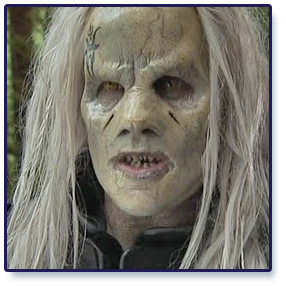 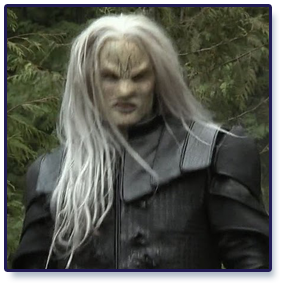 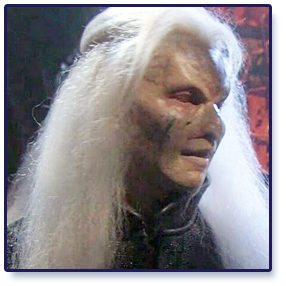 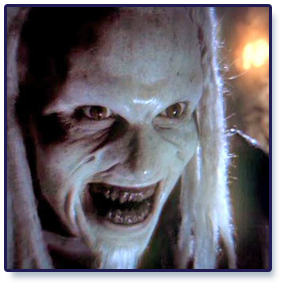 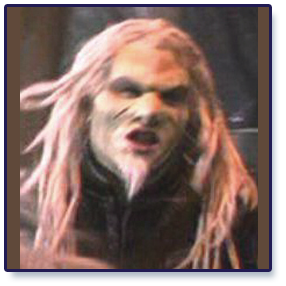 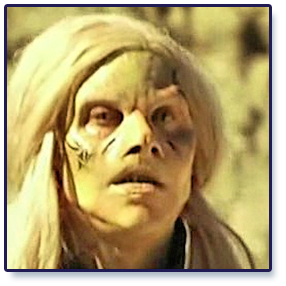 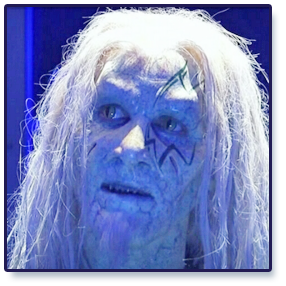 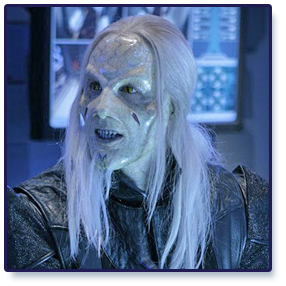 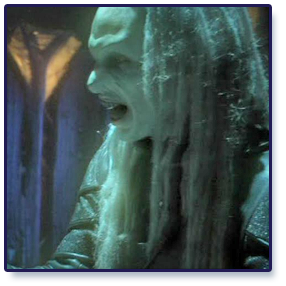 Stargate Wiki says James Chutter as “Billy”, Brendan Penny as Wraith. 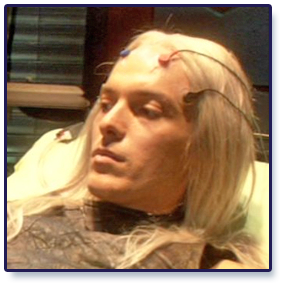 But GateWorld doesn’t list Brendan Penny amongst the episode guest stars. 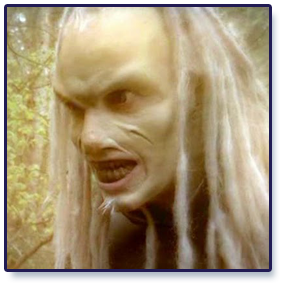 Meanwhile the IMDb page for Brendan Penny doesn’t say he was in First Contact either. 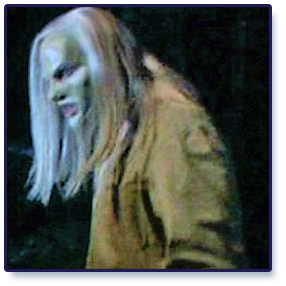 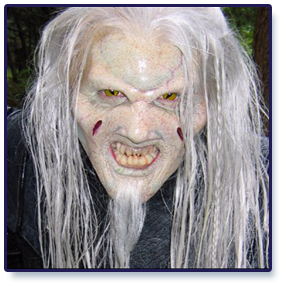 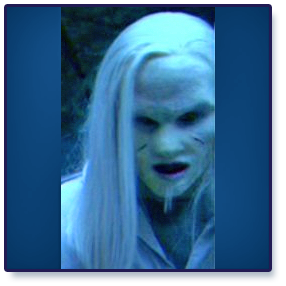 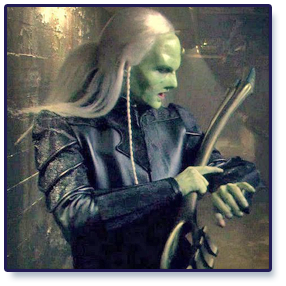 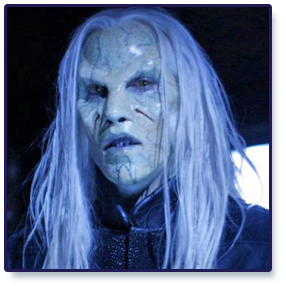 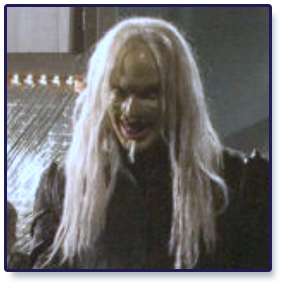 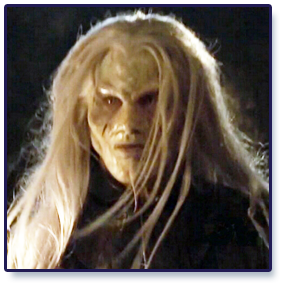 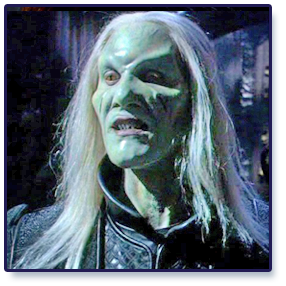 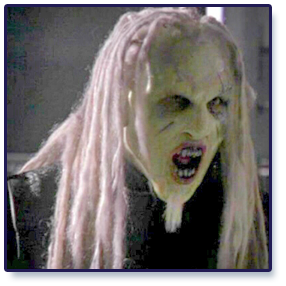 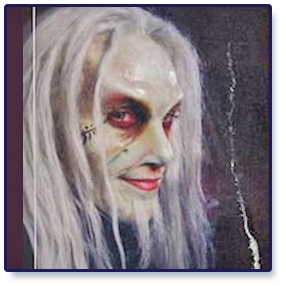 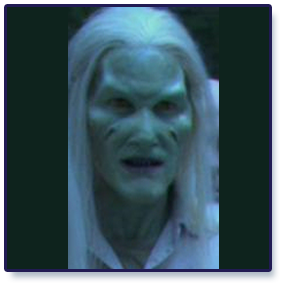 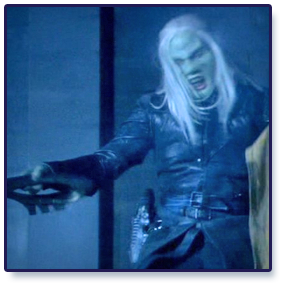 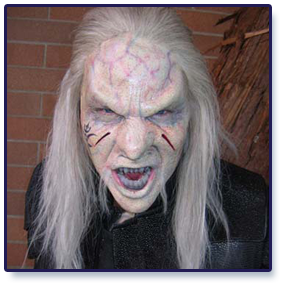 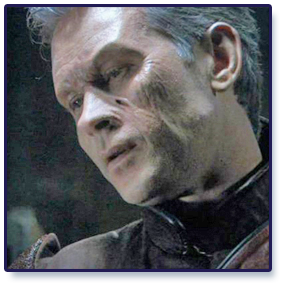 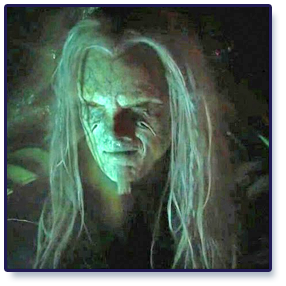 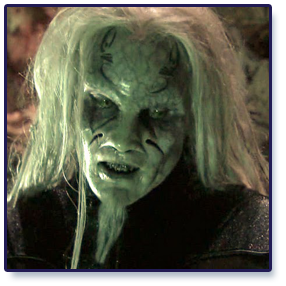 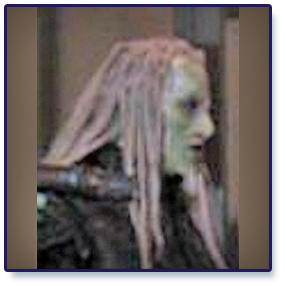 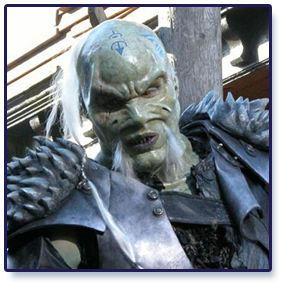 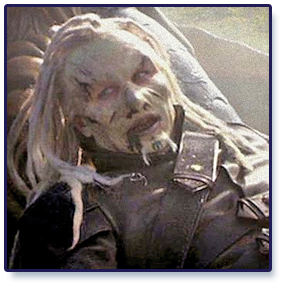 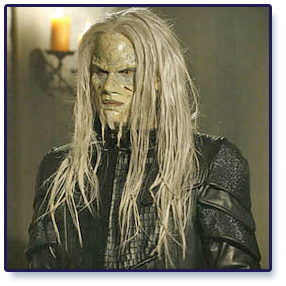 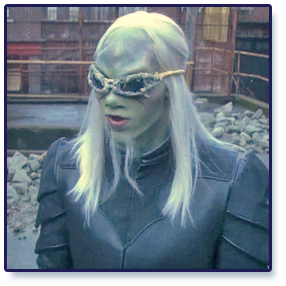 James Chutter is a male Wraith in The Lost Tribe and WDC members agreed that this photo is his character. 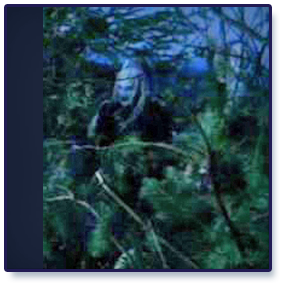 Has to be Brendan Penny because this male Wraith isn’t the Commander Wraith (Dave), Second In Command Wraith (Tubbs) or Bridge Tech Wraith (Crockett).